The result is both an historical military novel and a ripping read. It’s a ‘boys are back in town’ Bob Lee Swagger story to please long-term fans of the series, but it’s also easily accessible to newcomers. 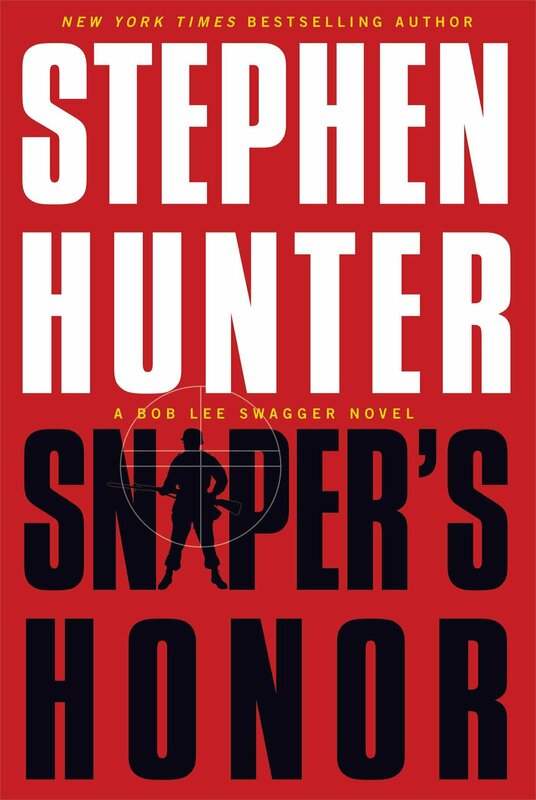 It’s stuffed full of gun tech, military expertise, bone-shattering ballistic description and the ‘feels right’ attention to detail which in the hands of some writers turns to stodge, but which Stephen Hunter delivers with aplomb. …in the modern world, Bob Lee’s interest is piqued when a reporter friend starts tugging at this thread, looking for a story. At first it feels as if they’re just carrying out an in-depth news investigation but pretty quickly it becomes clear they’ve trodden on sensitive toes, and the ghosts of the past are wrapped up with a plot in the present. Bob the Nailer is long past his prime, but Hunter neatly sets up a situation where his specific skills can still credibly save the day. You’re never quite sure how the plots are going to resolve which keeps the tension and momentum all the way to the final pages. Hunter also brings us an interesting cast of well-developed characters. This isn’t one of those novels in which Bob is the only ‘proper’ person – there are half a dozen major players in the WW2 segment, all intriguingly realised with plausible back stories (and several of them could easily sustain their own spin-off stories). There’s one or two less convincing plot devices in the 21st century segments, like the cosily-convenient, cavalry to the rescue which Bob can summon on a sat phone. But the sneakily witty, behind-the-scenes segments at Mossad more than make up for the odd, eyebrow-extending MacGuffin.